As evacuees return to their homes and evaluate the damages caused by Hurricane Irma, many anticipate having to make claims with their insurance companies. Photos of the conditions of your possessions and property before and after the hurricane are crucial in helping file a claim. 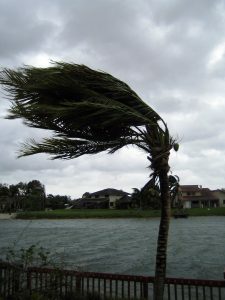 Wind and water damage are the most common causes of insurance claims related to hurricane damage. The type of damages covered by insurance companies depends on each homeowner’s policy. Issues with insurance companies begin to arise after claims are filed. Although insurance companies are legally required to look into your claim and settle it in a timely fashion, some tend to delay payments. Often times, insurance companies will lessen the value of your property as to avoid providing you the full payment of what your property is worth. While insurance companies employ these tactics, you are left with dealing with increased expenses at a time when you and your loved ones have already suffered a great loss. It is extremely important that these issues with your insurance companies are investigated as soon as possible. Retaining a lawyer right away gives your attorney the greatest opportunity to guide you and help you navigate the complexities of evaluating the conditions of your property, understanding your insurance policy, and dealing with your insurance company. We hope that you and your loved ones are safe and that your homes did not sustain any damages as a result of Hurricane Irma. However, should you find yourself at a loss, and are experiencing issues with your insurance company, contact the experienced lawyers at Friedland | Carmona as immediately as possible. The South Florida personal injury attorneys at the Friedland | Carmona handle all types of negligence, product liability, personal injury, negligent security, slip/trip and fall, and car accident cases throughout the state of Florida, including Boca Raton, Homestead, North Miami, South Miami, Miami Beach, Coral Gables, Pembroke Pines, Hialeah, Kendall, Aventura, Fort Lauderdale, and Palm Beach. The Friedland | Carmona handles all types of personal injury cases, including wrongful death, defective products, medical malpractice, slip and falls, negligent and reckless drivers, and automobile and motorcycle accidents. Call the Miami personal injury attorneys today and let our family take care of your family.